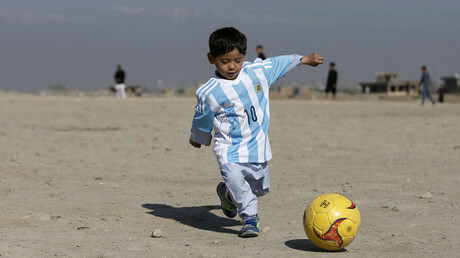 ‘They are hunting for him’: Afghan ‘Little Messi’ forced to flee Taliban onslaught Get short URL Murtaza Ahmadi, the Afghan boy who two years ago melted hearts around the world when he was pictured wearing a plastic-bag mock-up shirt of his hero Lionel Messi, has been forced to flee his home amid a Taliban onslaught. Murtaza came to global prominence in 2016 when he was pictured wearing a blue-and-white striped plastic bag – the same as the colors of the Argentina strip – with ‘Messi 10’ written on the back in honor of his idol. 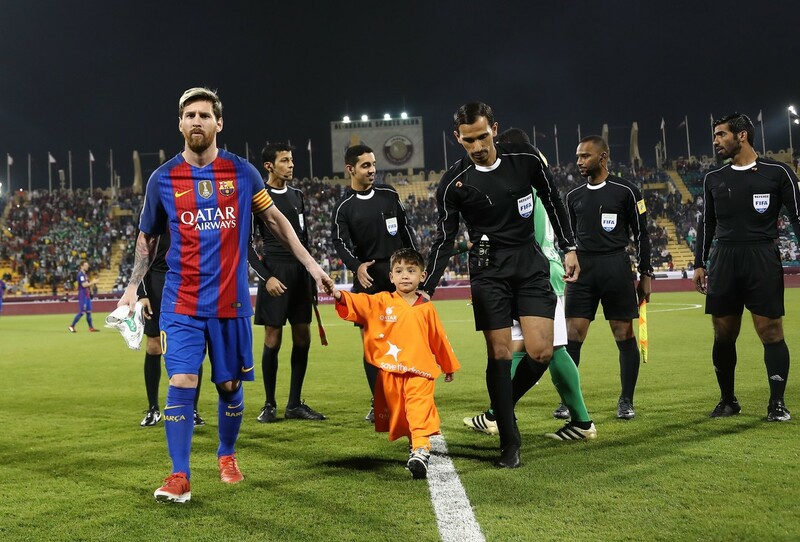 The photo went viral and led to the youngster eventually meeting Messi himself at the end of 2016, when Murtaza was a mascot for a friendly in Doha. 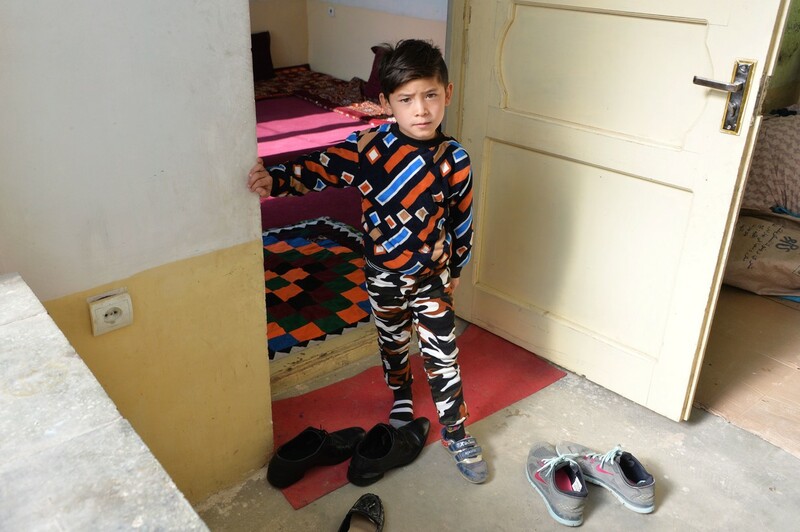 However, the youngster, who is now aged seven, was recently forced to flee his homeland in Afghanistan’s southeastern Ghazni province – leaving his prized signed Messi jersey behind – according to an AFP reporter who tracked down the boy and his family. Shockingly, Murtaza’s mother, Shafiqa, even said that the Taliban were specifically trying to hunt down her son. "(They) said if they capture him, they will cut him into pieces," Shafiqa said, AFP reported. The family are currently holed up in Kabul along with hundreds of others who have been forced to flee in the face of the Taliban threat. The Ahmadis are part of the Shiite-denominated Hazara ethnic group, who were targeted by the Sunni Taliban in a November operation in Ghazni. Shafiqa said they could be sought out because of her son’s fame. "Local strongmen were calling and saying, 'You have become rich, pay the money you have received from Messi or we will take your son'," she told AFP. "The danger of the Taliban coming back is high, going back is not an option," she added. The family reportedly left their belongings behind – including the signed Messi shirt and a football that Murtaza is desperate to be reunited with. "I want them back so I can play," said the youngster, who still holds out hope of another meeting with his idol. "I miss Messi. When I meet him, I will say, 'Salaam' and 'How are you?' Then he will reply saying thank you and be safe, and I will go with him to the pitch where he will play and I will watch him." The boy and his family were also forced to flee in 2016, when they went to Pakistan after being threatened by local extremist groups. They later returned to Jaghori in Ghanzi but have now moved on for a second time, although Murtaza's father Arif remains in the region working as a farmer, according to AFP. More than 300,000 Afghans have been forced to flee their homes since the beginning of 2018, the UN says.